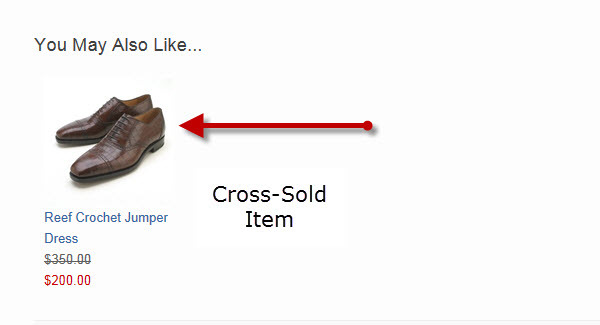 Modern Retail's Cross Sell/Up Sell feature is a powerful way to create add-on sales. These products appear on the bottom of every product page. Your site will automatically or dynamically add products to the pages for you; however you control the products offered. Here's how. The Cross-Sell/Up-Sell feature is found in the Products menu in Store Manager under Merchandising. 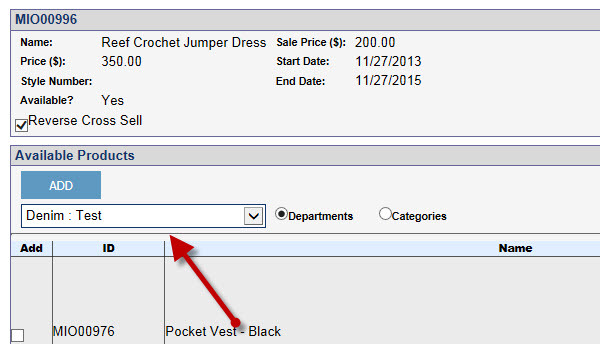 Select either the Departments or Categories for the main product you want to work with. Select the product you want to work with by clicking on the Product Name. On the next screen, select Department or Categories under Available Products for the items you want to cross-sell. A list of products will display. 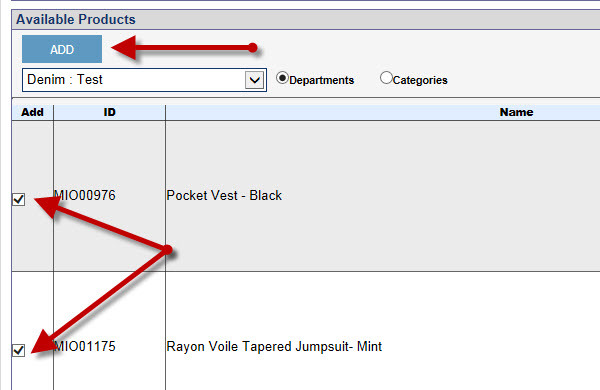 Select the product(s) you want to cross-sell by checking the box and clicking Add. You'll see your newly added products at the top of the screen. 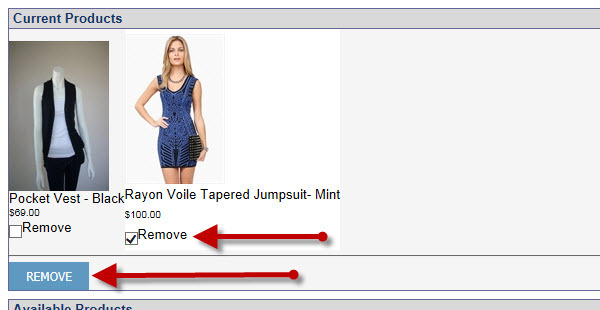 If you don't want to cross-sell one of the items, simply check the remove box and click Remove. When you've added all the items you want to Cross Sell, hit Save at the top of the screen. You'll instantly see your item on the product page. 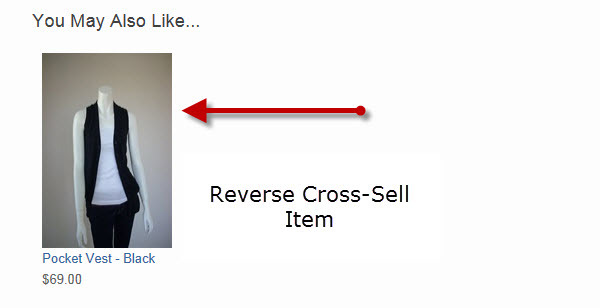 Reverse Cross-Sell will automatically offer all cross-sell items for a product on the other cross-sell products' pages. If you don't want items automatically Reverse Cross-Sold for you, uncheck the Reverse Cross Sell box on the main product in Store Manager.